There's no such thing as owning too many black eyeliners in my book so I was glad that POPSUGAR included this in their box. I've been using this eyeliner everyday this week and it's actually one of the best eyeliners I've ever used! 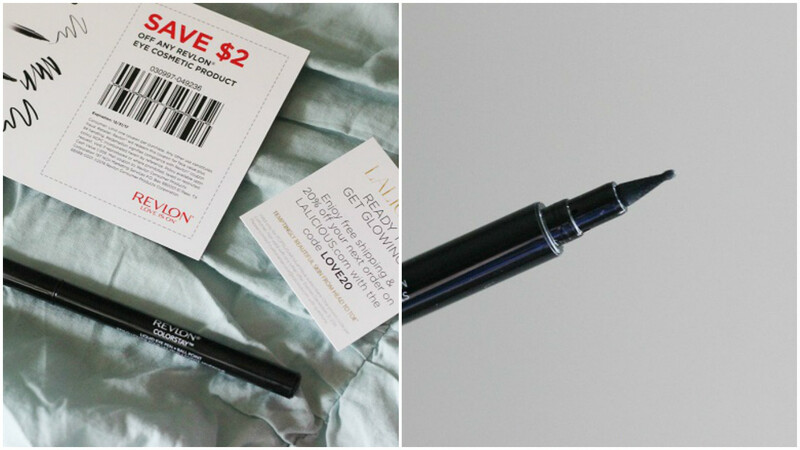 I never would've known since I don't buy Revlon products often. What's unique about this one is that the top of the pen has a round shape to it making the liner glide more comfortably and creates a sharp line easily. I'm DEFINITELY re-purchasing and I'm glad they included a $2 off coupon. 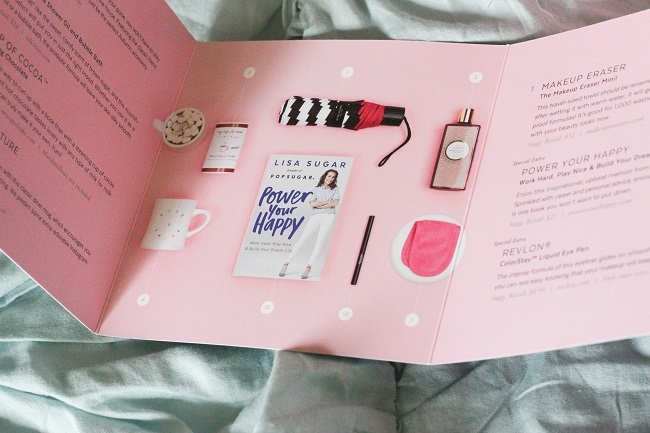 I'll admit, I don't read too often but I love books about female entrepreneurs (#Girlboss anyone?) so I'll have to give this one a try. 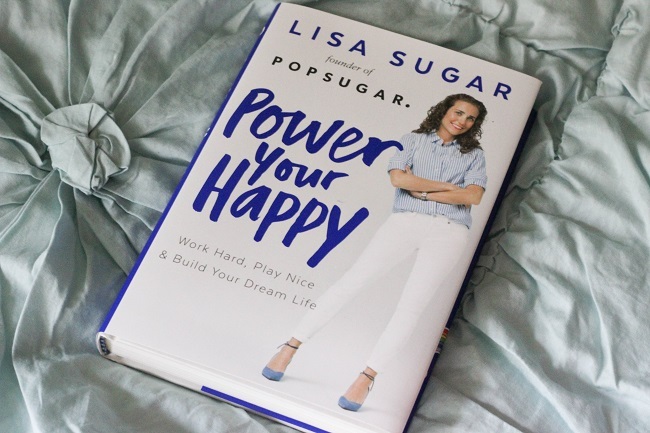 It has tons of career and life advice as well as stories about Lisa Sugar, who's the founder of POPSUGAR. I've always heard of the Makeup Eraser and seen tons of Youtube videos on it. You basically wet it with warm water and it's supposed to remove all of your makeup and it's good for up to 1000 washes. I tried it twice and it takes off foundation pretty well but for heavy eye makeup not so much. I always run out of shower gel products quickly so this was perfect for me. It smells exactly like fall and goes perfectly with the October theme. It's warm, comforting, and makes you smell like a bakery but in a good way. This paired with the hot cocoa mix that I talk about next was PERFECT for the October theme. 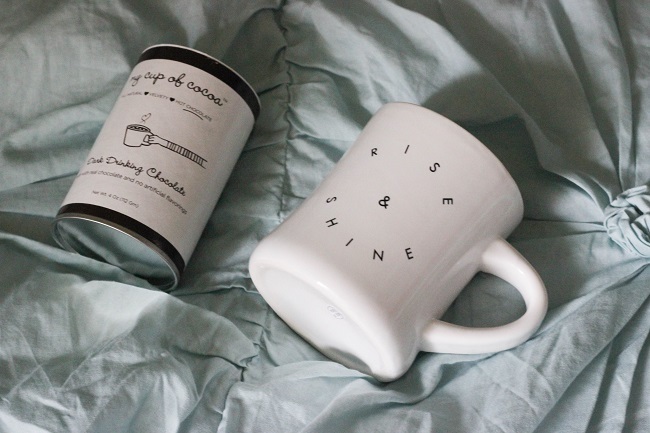 The mug is just so cute, seems high quality, and is totally Instagram-worthy. I can confirm that this stuff is delicious! I mean you can't go wrong with hot cocoa and it's so simple to make since all you add is water. Saved the best for last and this is the reason why this box was so heavy! Henri Bendel is one of my favorite places to splurge for myself or to get a gift for a friend and it's pretty much a fashionista's candy shop in there! I was so surprised to find that they included this beautiful umbrella in the classic print along with the logo on the side. 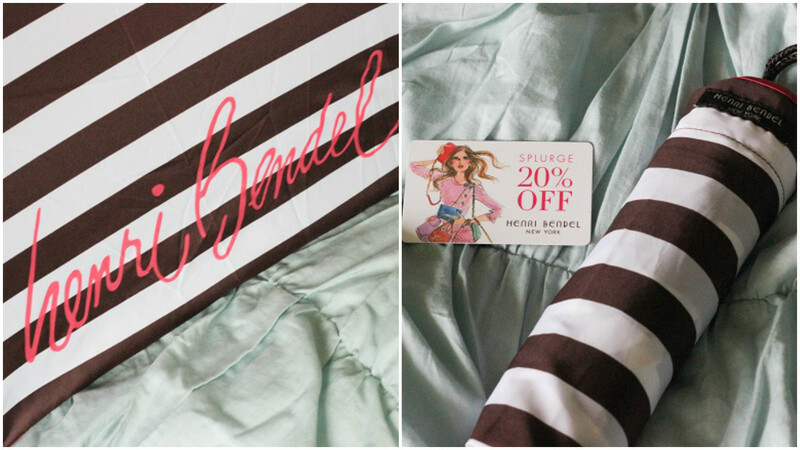 Rainy fall days just got so much more stylish! Overall, I'm so pleased with this box and it totally made up for the fact that the September box wasn't that great. I mean just that umbrella was enough for me! haha. 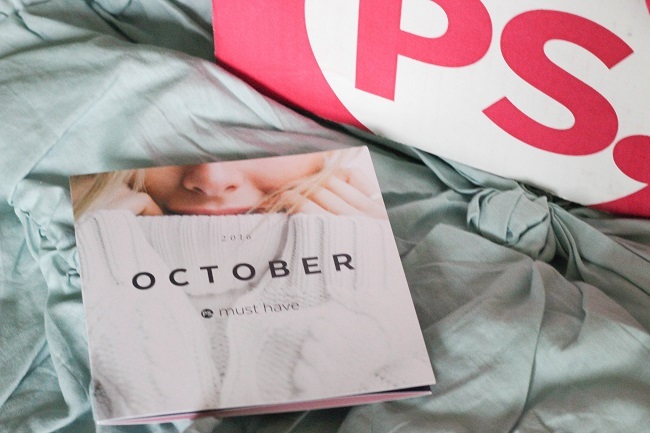 I can't wait to see what the November is going to have! That book looks good!! Loving the mug, too!